06. Did I Wake Up Beside You ? Hayden Desser is a Toronto based musician. He began recording on a 4 - Track in the early 1990's. After a few singles and cassettes, his first full length record was released in 1995. Everything I Long For marked the beginning of a 13 year cycle of recording, touring and lots of time off. Hayden is currently on a month-long twelve-country European tour supporting the amazing band "The National." These dates along with three warm-up shows in Canada before the tour mark Hayden's return to the stage after a three year absence. 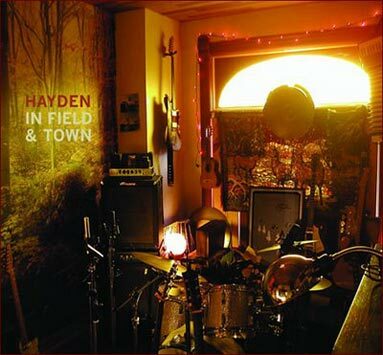 On January 15, 2008 Hayden will release his fifth full length record titled In Field & Town. Eleven tracks in all, In Field & Town was recorded and produced by Hayden.